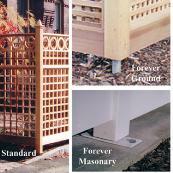 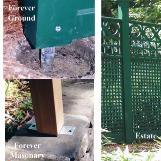 Posts & Columns come in many sizes, solid or hollow and can be direct buried in the ground or using the Forever Post system set it in concrete or bolted on a wall. 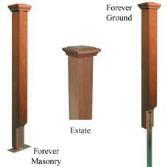 BrattleWorks’ Posts & Columns are constructed of clear kiln dried western red cedar available natural or with 100% acrylic white, green or any custom color stain. 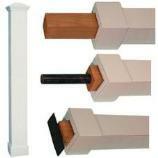 with a flat cap. 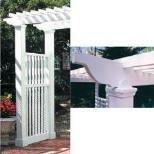 It's available up to 12' lengths. lock miter corners are sleeved over a ground post. 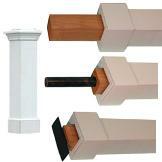 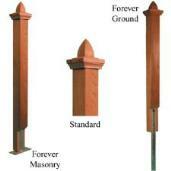 Larger Decorative Entrance Columns 9" and 11"
sq are often used to highlight an entrance or corner.